With The SKOR Codex the artists’ collective La Société Anonyme adopted an experimental model for an artistic corporation to respond to the commodification of culture by searching for alternative ways to make, promote and sustain art. An archive is a collection of documents and records such as letters, official papers, photographs, recorded material, or computer files that is preserved for historical purposes. As such, an archive is considered a site of the past, a place that contains traces of a collective memory of a nation, a people or a social group. Artists have always shown an interest in archives, either as inspiration for their own work, or for the use and reappropriation of its material. An archive has, therefore, become a site of reproduction. It could be argued that regardless of whether an archive is composed of print, photographs, film and / or digital media, the technologies used to organise, search and share documents have assumed the purview of a State, with the crowd acting as the control mechanism. Digital archives have changed from a stable entity into flexible systems, referred to with the popular term “living archives”. But, in what ways do these changes affect our relationship to the past, present and future? What are the implications for this mode of forgetting, for remembering, or for what is suppressed? Will the erased, forgotten and neglected be redeemed, and new social memories be allowed? Will the fictional versus factual mode of archiving offer the democracy what the public domain implies, or is it just another way for public instruments of power to operate? These are questions that are becoming more and more relevant as the organisations that initially established the archives and their keepers are no longer able to fulfill these tasks – as is the case of the Dutch organisation SKOR (Foundation for Art and Public Domain) since 1 January 2013. What is going to happen to the data that SKOR collected and preserved for nearly 30 years? How can its archive – that is currently being maintained by the Lectoraat Art & Public Space (LAPS) at the Gerrit Rietveld Academie in Amsterdam – continue to be fertile and continue to grow, while at the same time remain available for others to use or appropriate? In other words, what artistic strategies should we adopt to survive the future? In its final round of commissions, SKOR NetArtWorks – an online space for project-driven exploration through networked media – asked several artists to reflect on SKOR’s online archive. 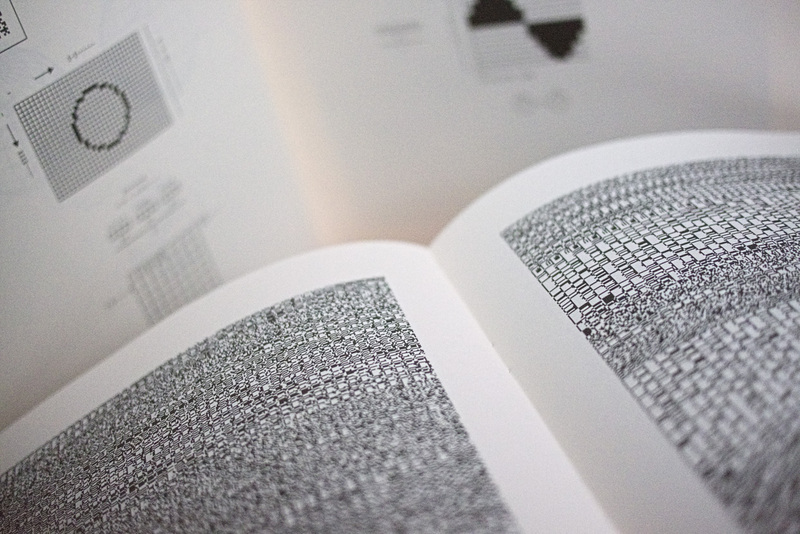 Several commissions (including those of Shu Lea Cheang and Michael Murtaugh) allowed the collective La Société Anonyme to create The SKOR Codex, a printed book that was sent to various locations around the world during the period 2012–14. La Société Anonyme is an artists’ collective that rose from the ashes of the 2013 art funding cuts in the Netherlands and includes Dušan Barok, Danny van der Kleij, Aymeric Mansoux, and Marloes de Valk. La Société Anonyme adopted an experimental model for an artistic corporation to respond to the commodification of culture by searching for alternative ways to make, promote and sustain art. The SKOR Codex contains binary encoded image and sound files selected to portray the diversity of life and culture at SKOR and is intended for any intelligent terrestrial life form, or for humans in the future – actually, whomever finds it. The files are protected from bitrot, software decay and hardware failure via its transformation from magnetic transitions on a disk to ink on paper, which will render it safe for centuries. It includes instructions in a symbolic language that explain the origins of the book and explains how the contents can be decoded. La Société Anonyme noted that “the package will be encountered and the book decoded only if there will be advanced civilizations on earth in the far future. But the launching of this ‘bottle’ into the cosmic ‘ocean’ says something very hopeful about art on this planet”. As such, the record is best seen as a time capsule and a statement rather than an attempt to preserve SKOR for future art historians. 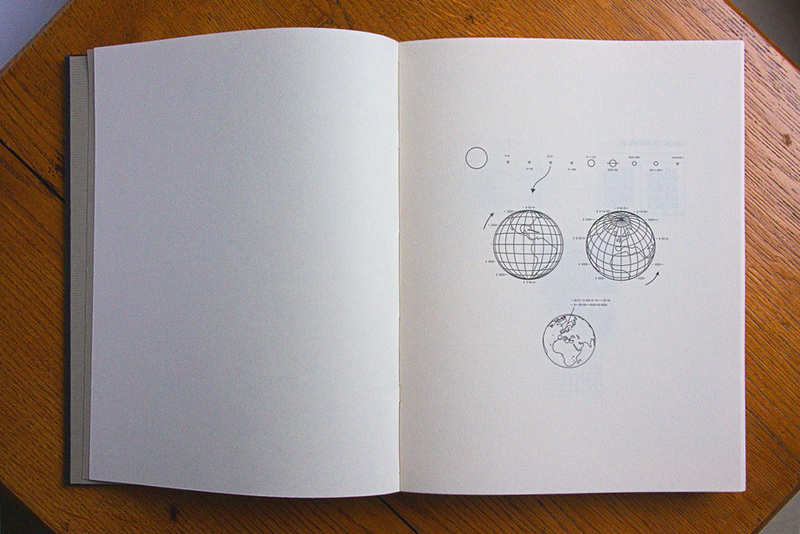 A year after its release, the first copy of The SKOR Codex was sent to SKOR’s legacy archive at the Lectoraat Art & Public Space at the Gerrit Rietveld Academie, followed by the Bibliothèque Nationale de France in Paris (via Jeu de Paume) and the Royal Library in The Hague, the Netherlands, and, more recently, offered to British computer scientist, Tim Berners-Lee, best known as the inventor of the World Wide Web, for the Open Data Initiative to secure in its archive. Recently it won the “New Face Award” at the Japan Media Arts Festival, which are more than enough reasons to tell a bit more about La Société Anonyme and The SKOR Codex. Annet Dekker: Could you explain the name of your organisation, La Société Anonyme? Although the word “Anonyme” means that the person(s) involved are unknown, you do present yourselves. So what does “Anonyme” refer to? La Société Anonyme: A société anonyme is a French type of corporation, similar to a Naamloos Vennootschap in the Netherlands or a public limited company in the UK. It is also the name of the corporation that Marcel Duchamp, Katherine Dreier and Man Ray established in 1920, to create novel platforms for modern art. Man Ray first noticed the name in French magazines, but because he didn’t speak French very well, thought it was the name of some sort of anonymous society. Duchamp appreciated this interpretation and they decided to use the name. As we started thinking about the origin of art and culture in the context of the so-called creative industries, we liked the corporate and bureaucratic imaginary that this name implied. Besides that, we were also quite excited about the idea of openly using an existing identity as a starting point, instead of following the usual collective birthing process of writing yet another defining manifesto to constrain whatever practice that will follow. Maybe this stems from a negative feeling about the creative destruction process often implied by an artistic practice that is forced to constantly reinvent and re-brand itself. Here we use this dadaesque identity as a found object, ready to be appropriated. You based The SKOR Codex on NASA’s Voyager Golden Records series of phonograph records that were brought along on two Voyager spacecrafts launched in 1977. Could you explain a bit more about why you chose this form and what elements you used to describe SKOR? The idea for The SKOR Codex was born out of a frustration with art archives of especially media art because of the ephemeral nature of digital data storage media. A lot of media art (well, actually, data in general) is lost because it is stored on servers hosted by institutes and companies that have limited life spans, and are simply left there, unattended. But, to keep an artwork consisting of software that needs to run on hardware functional, it needs to be maintained. There are many possible strategies: preserving original hardware and software or simulating or emulating old hardware on new machines to be able to run the old software, or updating the software so it can run on current-day machines... All this costs enormous amounts of effort and money and then there are still no guarantees, since, as we saw in the Netherlands in 2012, even institutes that have an important function like an archive and research facility that archives media art can be shut down within a couple of months after an election, leading to a rather sad and ironic situation where the archiving and documentation of the knowledge and skills of the archiving and documentation processes becomes the new priority. So, in order for The SKOR Codex to function as a sustainable archive, we looked at truly long-lasting methods for the storage of data. The Voyager Golden Record was meant to last one billion years. Archiving something for the distant future, where technology and life, as we know it, no longer exist is similar to creating a record for extraterrestrials. It needs to be independent of current-day technology and the content needs to be selected by keeping in mind that the receiver has no, or very little, information about its context. Since our data is not shot into outer space, we opted for the book as the preferred storage media format. The information a book holds has been proven to last for centuries, whereas, for example, a DVD only lasts 25 years. One of the biggest hurdles we had to overcome in creating The SKOR Codex was to calculate how much data could be stored in the book. To keep the binary structure of black and white squares both visually appealing and machine-readable we had to go with a snapshot of SKOR rather then a full archive. When we were trying to figure out how such a snapshot of a cultural institute should look, we were once again inspired by the Voyager Golden Record, which tried to provide an impression of our entire planet in very few images and sounds. We made a mapping of the contents of the Voyager series and tried to find a SKOR equivalent. For instance, US President Jimmy Carter’s greetings became a statement from SKOR managing director Tati Freeke-Suwarganda. How do you deal with the controversies surrounding the Voyager project, which presented a rather single (white, male North American) viewpoint of our world to extraterrestrials? For example: the questions of whether human diversity can be portrayed, or how living entities, emotions, music can be “adequately” represented – and what makes these issues signify humans and culture. Yes, the Golden Record is completely rooted in American politics and American culture. It probably tells us more about these two than it does about planet Earth. The truth is, objective archiving does not exist. Representing “the diversity of life and culture on earth” on one 12-inch phonograph record is impossible, and so is representing SKOR in a 300-page book. The contents will inevitably end up looking and sounding either random or biased. Any archive is a selection and representation that emerge from an archival agenda, therefore determining its focus and content. Archives always risk becoming a portrait of the society that has produced it rather than whatever is actually being archived there – in other words, an indirect self-portrait. The further you project an archive into the future, the more apparent this becomes. So, we embraced the controversy, and didn’t even try to be objective. We paint a picture of SKOR that, in today’s context, shows the process of an institute being abandoned, showing glimpses of its past wealth, with messages of today’s policymakers and politicians through statements made by its staff. It shows the enormous loss of knowledge that comes with extreme budget cuts. French philosopher Jacques Derrida said that “The technical structure of the archiving archive also determines the structure of the archivable content in the very way it is created and in its relation to the future”. By translating a certain view of SKOR into binary code you re-adapted the content. What could be the consequence of such a translation? Our chosen “technical structure” not only determines the archive’s relation to the future, it is also a statement about its relation to the future. 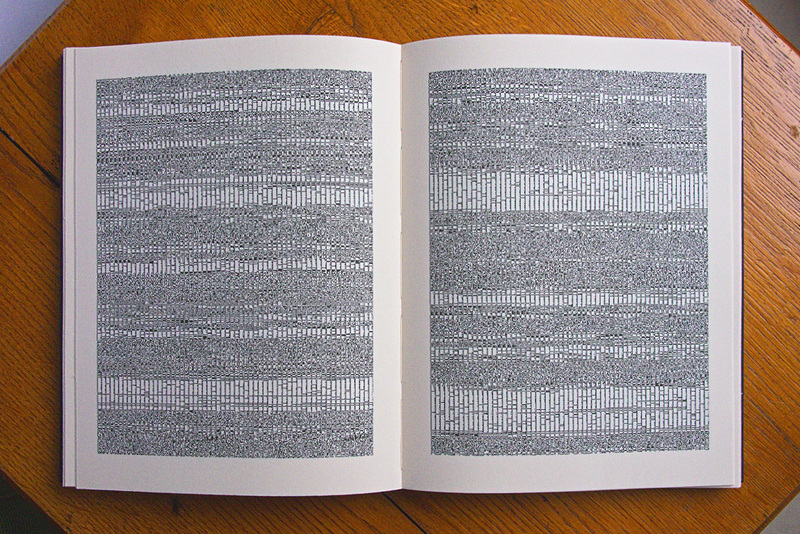 The way the information is encoded in the book allows both current software and hardware technology to decode it, but its raw binary nature opens it up toward a more speculative future, where what seems to at this moment be a form of obfuscation of the content can become practically relevant and useful to decoding objects that may exist outside of today’s technological realm. So The SKOR Codex is, in this sense, a very serious attempt to survive the ages, but, at the same time, by pushing this logic and following the Golden Record analogy, it becomes a statement about the archival process: how culture is produced, documented, archived, stored, lost, recovered and interpreted. What will future generations, or beings, need to do in order to read – and interpret – the data again? They need to correctly interpret the visual instructions at the beginning of the book. 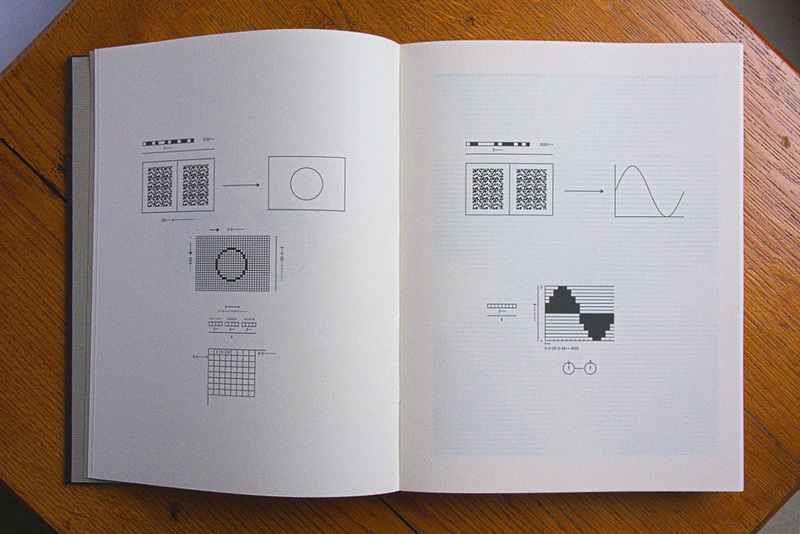 These diagrams explain how to decode the binary data that represent the images and sounds. We assume a certain level of knowledge about physics, just as the Golden Record did in its time. Time is measured by using the hydrogen atom’s transition interval, for instance, and the use of colour is explained via the wavelength of light. By storing uncompressed data in a binary form, we make it easier for others to retrieve the actual content, as no compression algorithm is involved. It also has the benefit of being more durable, since a scratch on a binary representation of a raw image file leads to nothing more than a scratch-like artefact on the decoded image. Meanwhile, a scratch on a binary representation of a compressed image is likely to make the image completely unreadable. The fastest way to decode the book using today’s technology is to use a scanner and a computer, and then to write a computer program that interprets the scanned images of The SKOR Codex and converts them into sound and image. There are numerous methods to achieve this, making it relatively easy to write such a program yourself. But it is also possible to reconstruct the images and recordings without a computer, although some sort of device would be needed to make air vibrate to at least accurately reproduce the sound, and another one to do the calculations would be nice but not essential. There are only eight copies of The SKOR Codex and some are already placed in highly esteemed archives, what are your selection criteria for the hosts of The SKOR Codex? We are interested in working with institutions that take archiving and documentation seriously, and appreciate the various levels at which this project can be read, including its humour. We like to work with people who have the means and skills to provide a good home for the project, as well as allowing public access to the work. So far, we’ve been overwhelmed by the positive feedback we have received and the dedication of the people we have been in contact with. The work is donated; it is a gift from La Société Anonyme, and, for what it’s worth, its contents are made available under a Creative Commons license, which is the closest way we found to dedicating the work to the public domain, something we care about and it also represents a last clin d’oeil to SKOR. The goals of La Société Anonyme are to make, promote and sustain art in alternative ways. What other plans and strategies are you thinking about for the near future to counter the cuts to culture funding in the Netherlands? Right now we’re looking into patents and gifts. Of course, we’re also still thinking about launching our collection of binary knitted cultural heritage socks and underwear, leveraging the creative industry potential of all these dead Dutch institutes.